On March 15, 2011, the demonstrations in Syria started. After 8 years, the world now seems to lose interest in Syria and the continuing fighting. The stories about the uprising have slowly disappeared into the background. Through the exhibition Cartooning Syria, we want to bring these stories to the attention again. The drawings show a personal and political picture of the uprising and war in Syria through the eyes of Syrian cartoonists. During the opening, some of these cartoonists will tell the story behind their work. The exhibition Cartooning Syria shows hundreds of cartoons (in print and projections) from 39 artists. During the opening journalist Mais Katt will talk with cartoonists Sahar Burhan, Sameer Khalili and Amany al-Ali about the stories behind their work. Artist and archaeologist Theo Feyter will tell about the symbolism behind the image of a chair in Syrian cartoons. Ronald Bos will speak about the famous posters from activists in the village of Kafranbel in Idlib. And Palestinian-Syrian poet Ghayath Almadhoun will read from his own work. 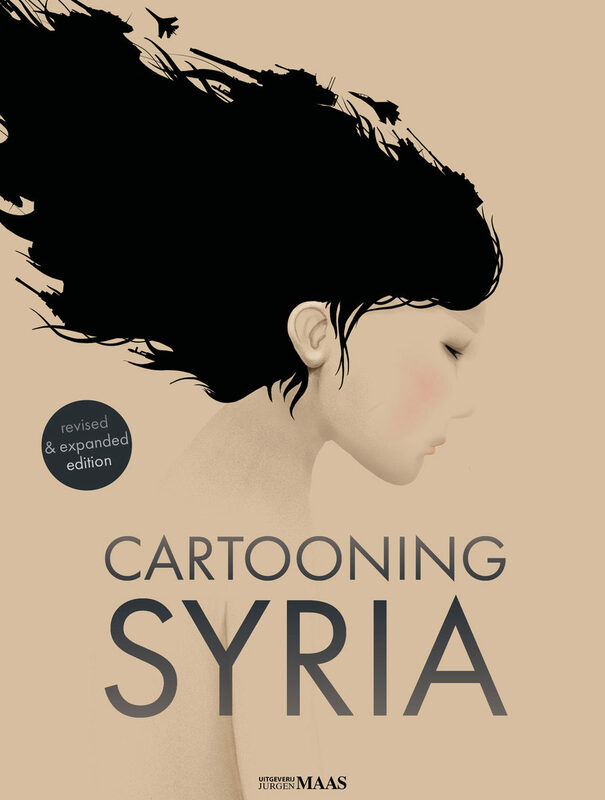 A completely new edition of the book ‘Cartooning Syria’ will be presented by publisher Jurgen Maas, and the new website www.cartooningsyria.org will be launched. Afterwards, there is the opportunity to ask questions and talk with the cartoonists. There will be drinks and Syrian snacks from restaurant Layali-Al-Sham. 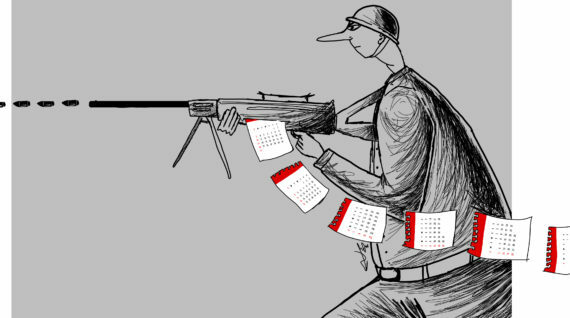 Sameer Khalili is a graphic designer from Homs in Syria and started making cartoons when the uprise started. His cartoons mainly show the emotional side of war. Now he lives in the Netherlands where he follows an ICT course. He still draws cartoons. Sahar Burhan is an artist and cartoonist from Damascus, she lives in Sweden where she runs art gallery Kameleont in Norrkoping. Amany al-Ali lives in Idlib. She draws cartoons on the social and political situation in Syria. From February to March her work can be seen in the exhibition ‘The Syrian Apple‘ in Manchester. Ghayath Almadhoun is a Palestinian-Syrian poet, born in Damascus. He has lived in Stockholm since 2008. At the moment he is staying in Amsterdam as a Writer in Residence at NIAS, where he is working on his fifth poetry book in Arabic. Earlier he published, among others, ‘Weg uit Damascus’ and ‘Ik hier jij daar’. His works has been translated into Dutch, Swedish, German, Greek, Slovenian, Italian, English, French, Danish, Spanish, Czech, Croatian, Albanian and Chinese. Theo de Feyter is a Dutch artist and archaeologist. He has traveled through Syria for many years and will talk about the symbolism of the chair in the cartoons. Ronald Bos is documentary maker and chair of Syrian Dreams Foundation, the organization behind the travelling exhibition Cartooning Syria. Moderator is Mais Katt. She is an investigative journalist from Syria. She is board member of the Syrian Dreams Foundation and co-founder of Rozana media. The exhibition Cartooning Syria was created by the Syrian Dreams foundation. The exhibition has already existed in many places in the Netherlands and beyond. Recently the republication of the book Cartooning Syria was released, in which all cartoons are printed.